General Motors has caught the attention of the motoring world with the launch of of the new Cadillac range, the CTS Sport Wagon, the new 2010 SRX crossover and the CTS Coupe, due for release in the summer of 2010. 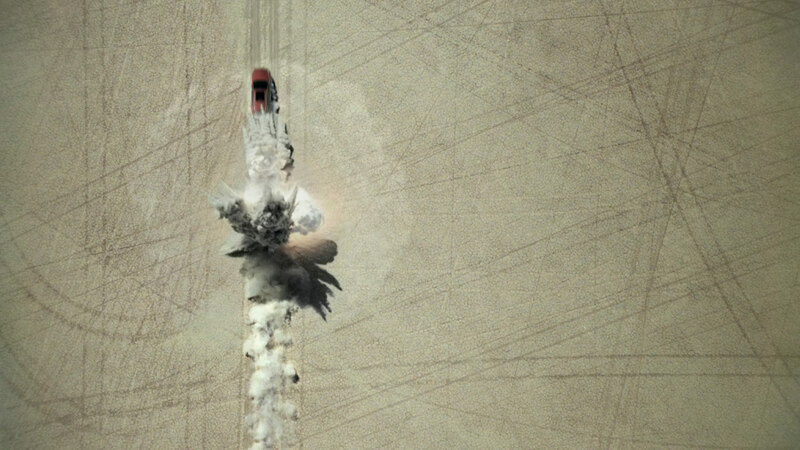 Re-ignition simulates a rocket launch in the desert, with a countdown and stages of flight. The two door Cadillac sports coupe is seen briefly towards the end of the launch, and is apparently similar to the concept car shown at the 2008 Detroit Auto Show. The car, according to General Motors press release, will feature a 6.2 liter V8 engine with the same 556 horsepower capacity as the CTS-V sedan. The Cadillac Reignition campaign was developed at Modernista!, Boston, by creative directors Gary Koepke, Lance Jensen, Will Uronis, Dave Weist, and agency producer Eric Voegele. Filming was shot by director Peter Thwaites via Gorgeous and Anonymous Content with executive producer Jeff Baron and director of photography Joost Van Gelder. Editor was Rick Lawley at Whitehouse Post. Visual effects and colour were produced at The Mill by colourist Adam Scott, shoot supervisor Hitesh Patel, 2D lead artist Chris Knight, 2D artist Jonathan Westley, 3D artists Daniel Marum, Hitesh Patel, Miguel Bilbao, and assist Gavin Camp.